We've team up with contemporary designer, Wai Ming, again! Emily's Brady Koplar's latest collection features perfect metallic pieces for those holiday parties (and beyond!). As you know, we love #MixingMetals and were stoked to see she styled the collection with Svelte for Wai Ming's lookbook yet again. This season's metallic pieces pair perfectly with Svelte! So perfectly in fact, that we co-hosted an Instagram contest this month with Nichole Ciotti of Vanilla Extract. The winner received $200 to both collections to spend on a new holiday look. 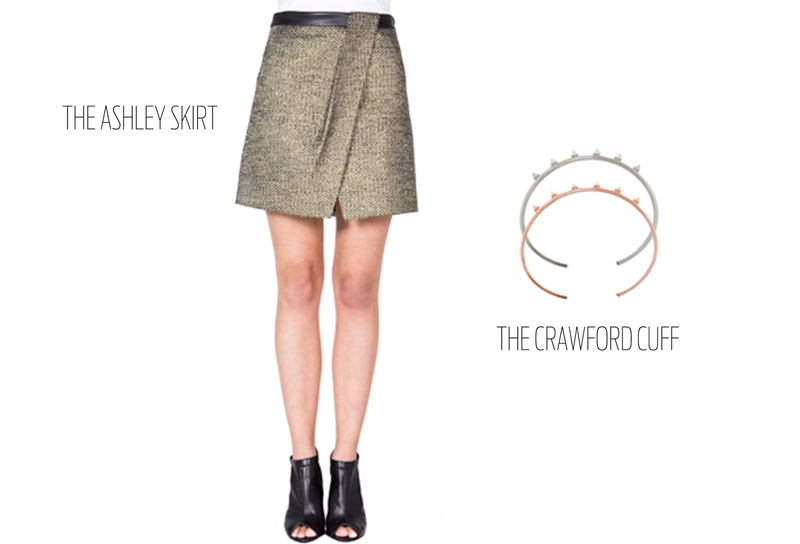 Our personal favorite combo is Emily's Ashley Skirt with a couple of stacked Crawford Cuffs. We also adore how Nichole styled the Emma Top with our Wells ring, Chamberlain ring, Hoxton ring, Jackson ring, and Cobb cuffs.